Passaic County CASA’s 10th Annual “There’s No Place Like Home” Tricky Tray is scheduled for Monday, June 10, 2019. Held at the Westmount Country Club in Woodland Park, NJ, this event has been consistently voted one of the top Tricky Trays in NJ by TrickyTray.com. Tickets are $55.00 and include a 3-course dinner and a sheet of regular tickets. Additional tickets for higher level baskets are available for purchase. Get your ticket by April 15 and receive a second sheet of regular tickets for free! All proceeds benefit Passaic County Court Appointed Special Advocates, which empowers volunteer advocates to champion the best interests of children in the foster care system. 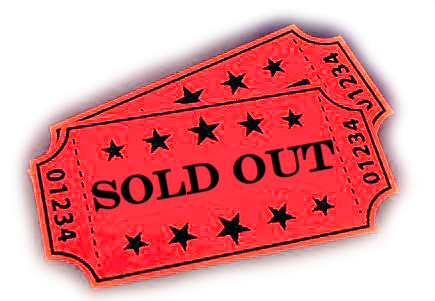 We have discontinued online ticket sales (as of 8pm on 4/7/19) because we have reached near capacity of the event! If you are interested in purchasing tickets, please call 973-832-4002 to inquire if tickets are still available. Join Passaic County Court Appointed Special Advocates (CASA), in partnership with the Wayne YMCA, for a FREE screening of "Out of Darkness, Into Light: Child Sexual Abuse.” The screening will be followed by a conversation with Erica Fischer-Kaslander, Executive Director at Passaic County CASA, about preventing, reporting, and addressing child sexual abuse. Passaic County Court Appointed Special Advocates (CASA) is working along side the Wayne YMCA to bring awareness to child sexual abuse, in honor of National Child Abuse Prevention Month and Sexual Assault Awareness Month. YMCAs from across the country are marking “Five Days of Action” to raise awareness about how to prevent child sexual abuse. (https://www.fivedaysofaction.org/). The New Jersey Foster Care (NJFC) Scholars and the Pathways to Academic & Career Exploration to Success (PACES) programs provide adolescents who have experienced time in foster care later in their lives, adoption, kinship legal guardianship and homelessness with assistance and support to pursue their academic and career goals. This presentation will provide participants with information regarding NJFC Scholars & PACES, the application process, and all of the supports offered through Foster and Adoptive Family Services and the Scholarship Department. Become an advocate for CASA within your community. Learn how to speak about CASA, develop new presentation skills, and network with other people who support the CASA mission. Help CASA speak up for more children by learning how to speak up for CASA. To Download the 2018 Tricky Tray Program with everything you need to know for Monday, including ticket prices and a basket list, click here! To RSVP call 973-832-4002 or click here. Learn about the signs and red flags for child abuse and neglect. Become familiar with New Jersey's mandatory reporting law, and how the child welfare system works. Find out how Passaic County CASA volunteers are making a difference in the lives of children who are in the child welfare system. Organize a holiday gift collection and brighten the season for a child in foster care! Join us on October 13th to Celebrate 10 Years of Making a Difference in the lives of Passaic County's children in foster care at the CASA "Voices for Children Gala." Enjoy dinner, drinks, and dancing, with music provided by DaddyPop.